A funeral home in Wheldrake that prides themselves on being the oldest funeral directors in the UK. We have used their services twice in a short space of time. You could not get a more caring efficient funeral director. Our funeral was actually carried out by Fielders and from start to finish they were easy to deal with and helped to give my Mother a good ‘send off’. All very professional and went to plan - thank you. I W Myers has been offering professional funeral services since the company was established in 1701. 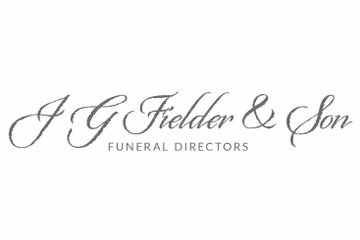 The Wheldrake funeral home, which is owned by J G Fielder & Son, ensures one point of contact throughout the funeral. James Myers, and his experienced team offer comprehensive funeral planning services to help you during your time of need. Their Wheldrake office, located on Main Street is able to assist you with green burials, traditional and non-religious funerals. Their funeral home offers a private arrangement room to discuss your loved one’s funeral plans in comfort. I W Myers in Wheldrake is also able to assist you with flowers, funeral stationery and catering as well as any other funeral essentials and special details. Their hearse, which comes with a chauffer and bearers is included in their service. The funeral home is also able to organise a limousine to transport you to the crematorium, church or service venue. Each limousine can carry up to six family members. I W Myers funeral directors in Wheldrake are available 24 hours a day by phone, and their office is open by appointment. Call now to discuss your loved one’s funeral, or to learn more about I W Myers pre-paid funeral plans. The whole family thought the funeral arrangements were exactly as we wanted them. I was very grateful for the support and advice I was given. I would definitely recommend your services. I W Myers Funeral Directors will provide you with a free obituary as part of their service.